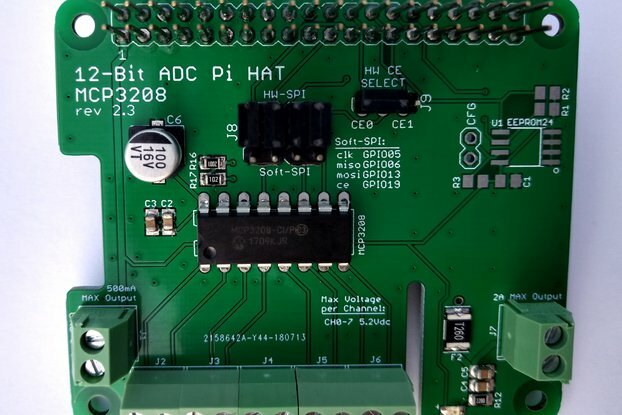 This version has (8) 10-Bit channels accessed via SPI, and (4) 12-Bit channels accessed via I2C. It also has a self-healing poly fuse on the 5V line, filter capacitors, and a power LED. It DOES NOT have resistor dividers on any inputs and the MAX input voltage is 5V/6.14V. 3.3V, 5V, and GND connection terminals. 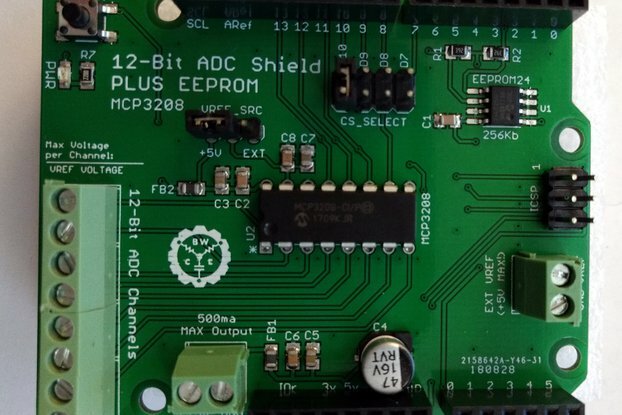 Board can back-power Raspberry Pi via 5V and GND connection terminals. Self-healing poly fuse to prevent overcurrent damage to Raspberry Pi. SPI can use CEO of CE1, selectable via solder jumper. NOTE: This board ships with all headers un-soldered. Some light soldering is required to connect the headers and connectors. You can optionally elect to have the board shipped to you complete assembled for a nominal fee by selecting the option on the right. 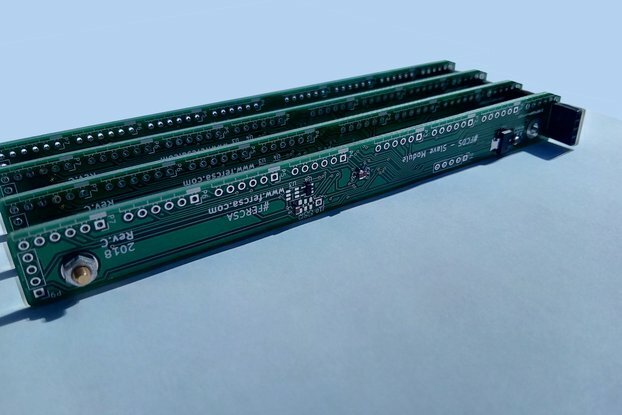 All SMD components are pre-assembled, including the EEPROM and related passive components if you select to add them, regardless of the options selected.